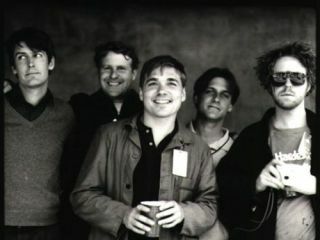 Pavement are releasing a very special 'Nicene Creedence Edition' of their fourth album Brighten The Corners next month. It includes previously unreleased material alongside the original 12 tracks, one of which is called Date With Ikea. Do you see where we're going with this? The clever people at Matador Records are promoting the release with a competition to win a date in Ikea with a member of Pavement and a $500 spending budget. Entrants must submit a photo of their apartment/flat/abode and a short essay on why they deserve the shopping spree. There's no word yet on which lucky Pavement member you get to traipse around Ikea with. It's funny, though, that while sprucing the office up last week, one MusicRadar colleague was overheard muttering: "if only Stephen Malkmus was here." What are the chances? Brighten the Corners: Nicene Creedence Edition hits the shelves on 9 December. If you can get to an Ikea somewhere in the US, you can enter the competition via imeem.